Aquaculture is the breeding and farming of plants and animals in water – seas, rivers, lakes, and ponds. The global demand for popular seafood products such as prawns, salmon and mussels has meant that aquaculture industries have progressively expanded across the globe, and this is no different here in Scotland. 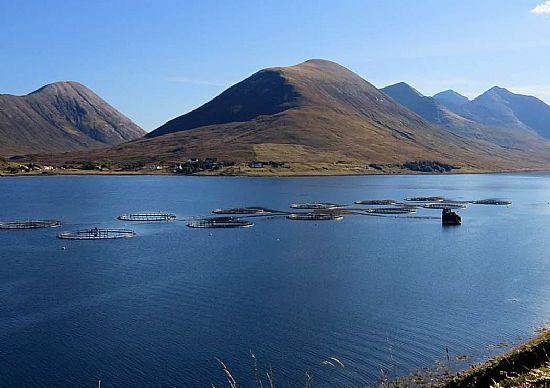 Scotland is one of the world’s largest producers of farmed seafood; it’s not only the largest EU producer of farmed Atlantic salmon, but also one of the biggest three global producers of farmed Atlantic salmon in the world, along with Norway and Chile. Scottish aquaculture is therefore dominated by salmon farming – it is one of the county’s biggest exports, distributed to over 50 countries. The Scottish Government have committed to increase the production of farmed fish, with the National Marine Plan (NMP) including specific industry targets for achieving this. There is a clear role and value in aquaculture industries here in Scotland, however ensuring that we do not compromise the integrity of our marine environment in the pursuit of developing aquaculture industries is of paramount concern to many people living along Scotland’s coast. With numerous concerns associated with salmon farming, including: sea lice; chemicals (including antibiotics); fish farm escapees threatening UK salmon biodiversity; and sewage polluting surrounding waters – communities have had to, on numerous occasions, galvanise around proposals for salmon farms within their area to contest plans which they consider to be a threat to the health of their local marine environment. To read more on Salmon Farming in Scotland, from a variety of perspectives, you can visit the websites of the Scottish Aquaculture Innovation Centre, the Salmon and Trout Conservation UK and the Scottish Salmon Think Tank. There is also more info on the Scottish Government’s Aquaculture pages. 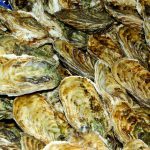 Below, you can download a copy of The Marine Aquaculture Consenting Guide, published in 2017 by the Sustainable Inshore Fisheries Trust and Marine Conservation Society. The Guide aims to improve public understanding of the aquaculture consenting process in Scottish waters, and hence to empower coastal communities so that they have a greater say in how their local sea areas are managed. The Guide sets out the responsibilities of, and relationships between, the various public bodies involved in the consenting process. It also summarises the regulatory oversight of marine fish farms in Scottish waters.